Happy Holidays!! Merry Christmas, Happy Hanukkah, Happy Solstice, and Happy Festivus! It's almost time for the airing of grievances. Always a frothy, lighthearted time. 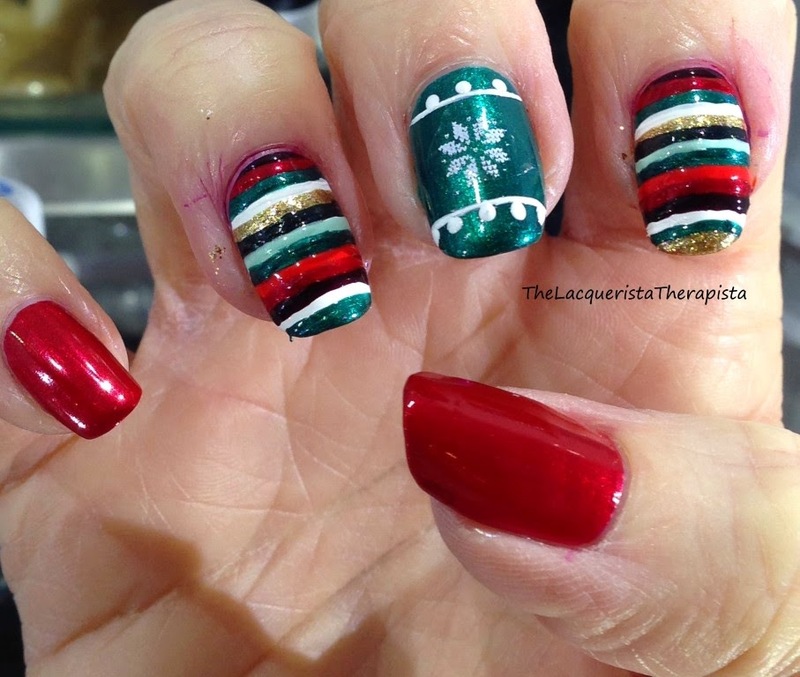 I was inspired by another nail artist for this mani. 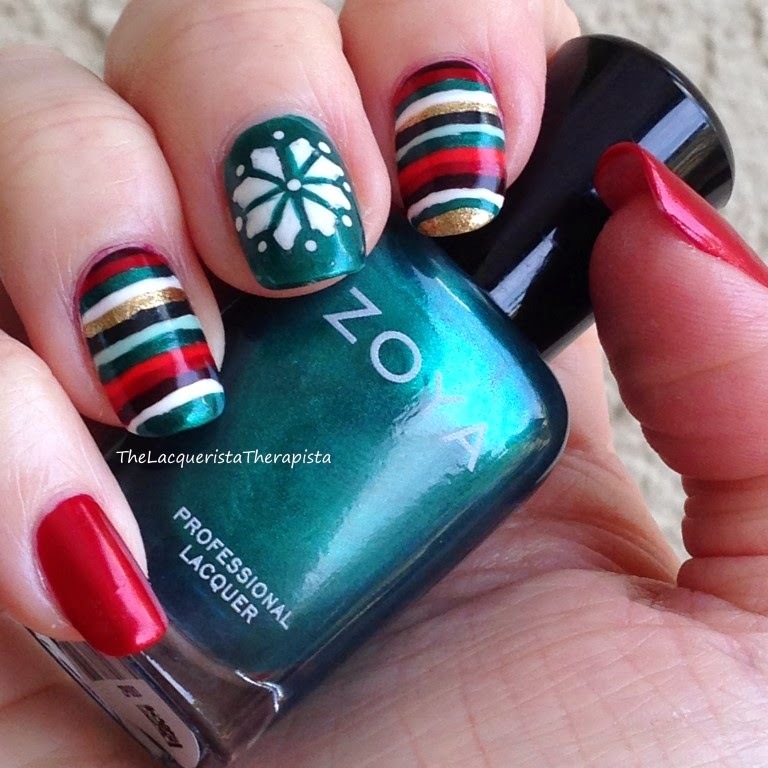 @iheart_nails_ did a great stripey mani for Christmas and I fell in love with the idea. This year, I've been having fun changing up the traditional red and green color scheme so I opted for a teal color instead of straight green. Teal is always a good choice. 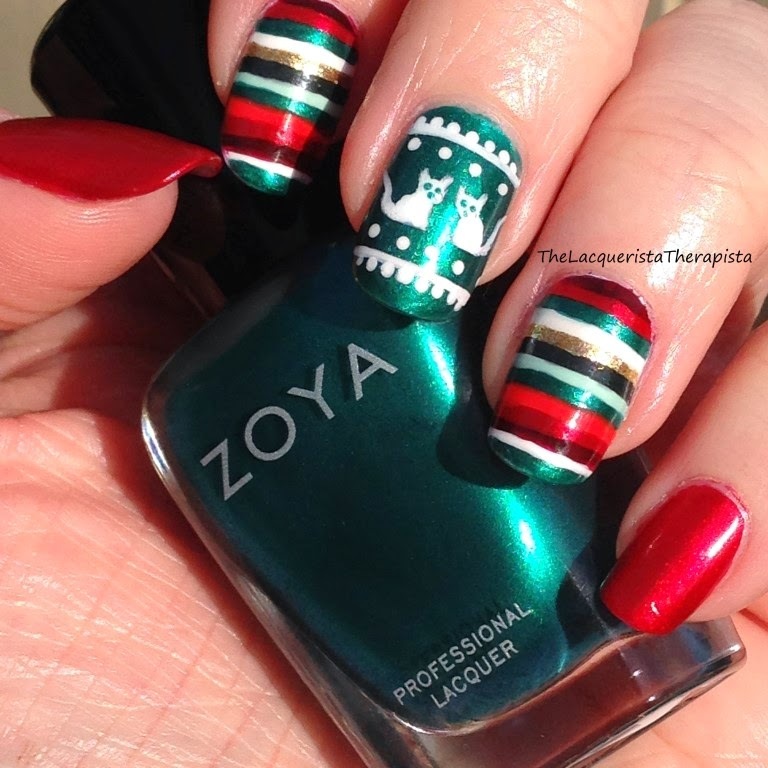 The ugly sweater design nails were far less tedious. For the cat nail, I used a dotting tool and a striping brush. For the snowflake nail (is it a snowflake? 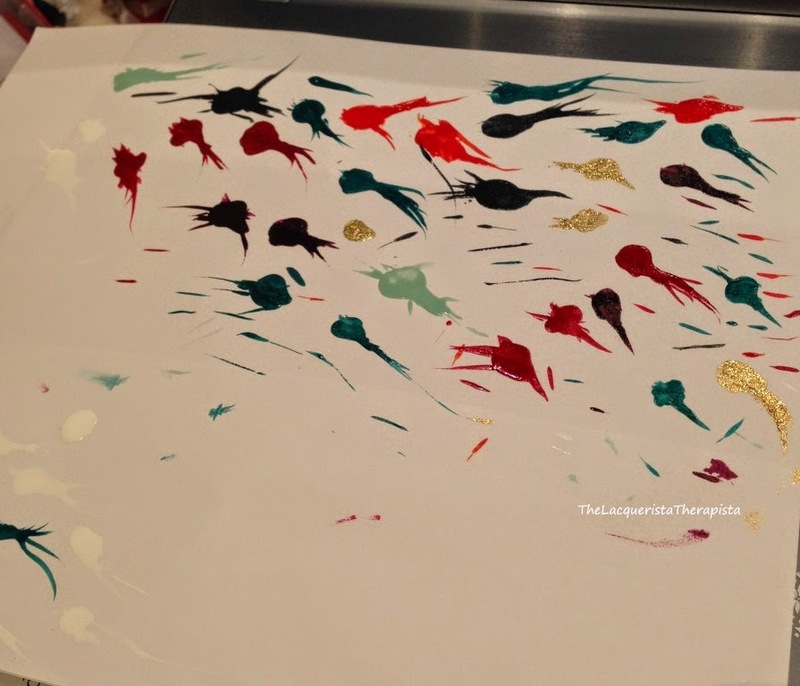 ), I used thin nail tape, a small brush, and a dotting tool. Honestly, the snowflake didn't turn out as sharp as I'd like, but I'll live. 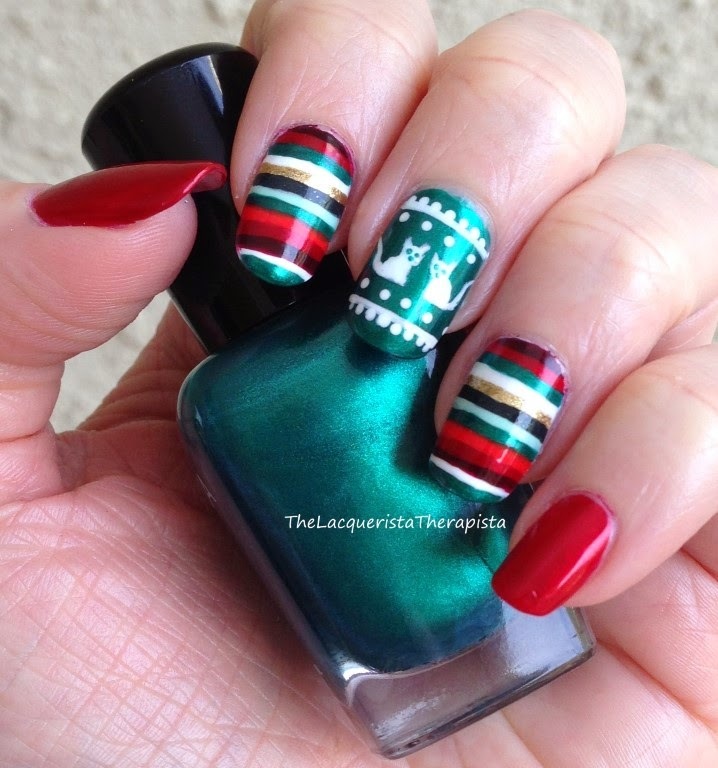 I originally tried some stamping with an ugly Christmas sweater stamping plate by Vivid Lacquer (VL 035). While, it was cute, it lacked the oomph I wanted for this mani. 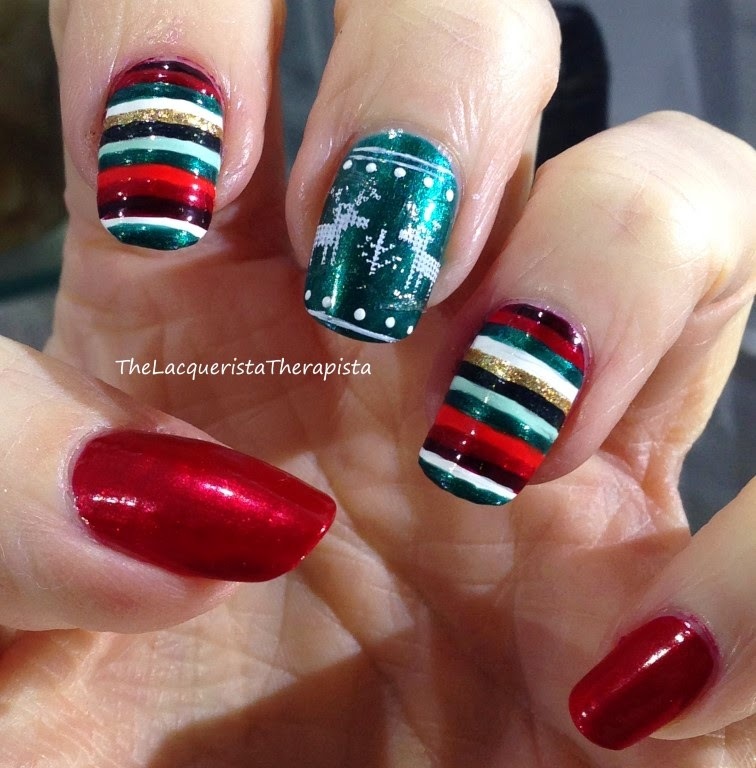 Original plan for the snowflake nail. The stamp is cute, but not vibrant enough in this mani for my taste. Never mind the hideous stains on my skin. 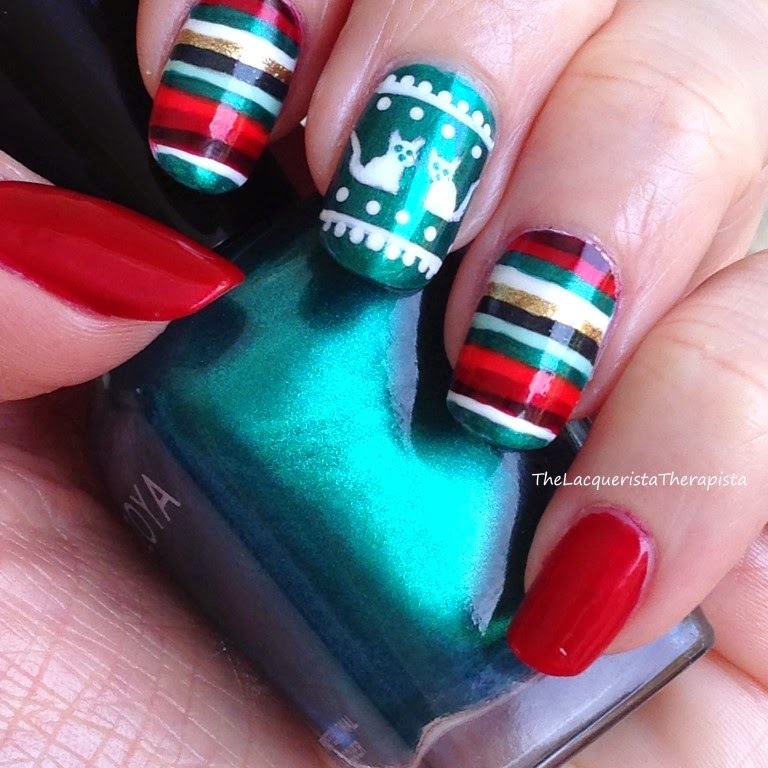 And for the cat nail, I originally used a reindeer stamp from the same Vivid Lacquer plate. Also super cute, but I just wasn't feeling it at the time; it needed more cats. Original cat nail wasn't cats. Decided it needed more cats so I re-did it. Perhaps if I didn't redo my nails when slightly displeased, these things wouldn't take quite as long, but then I'd forever be curious about what could have been. I'm very...particular, let's say. Here is the instagram for @iheart_nails_. Thank you for the inspiration! I hope everyone has a wonderful holiday season full of peace, love, and merriment! Thanks for reading! 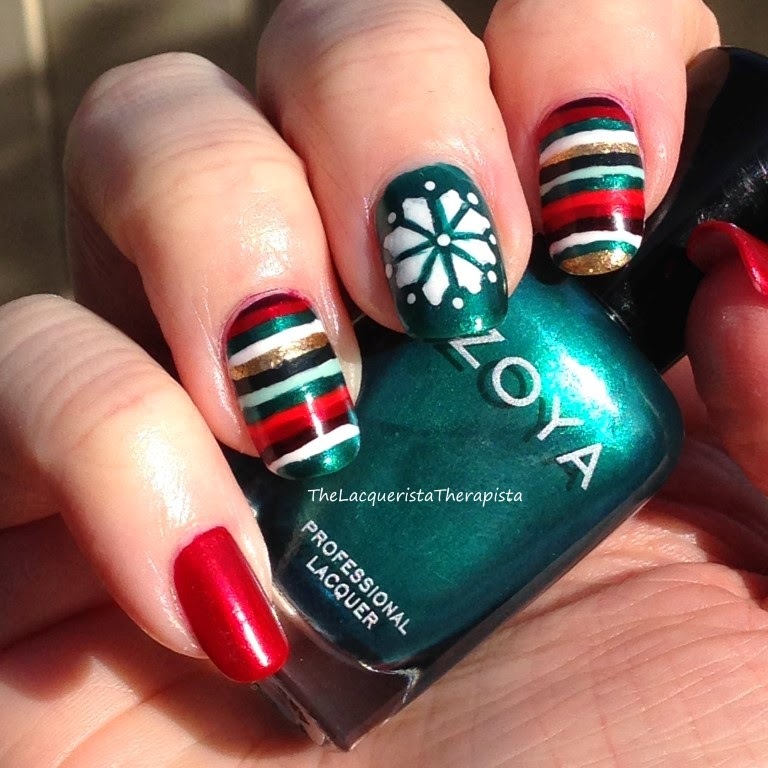 All polishes and products used in this post are from my collection and were not provided for review.